[S00051] STARK, Early Familes of the Town of , A. Ross Eckler, (Self Published by A Ross Eckler, Morristown, New Jersey, First Issue, November 2005), MOYER Family. [S00120] 1850 United States Federal Census, Images reproduced by FamilySearch, (Ancestry.com Operations, Inc., 2009), [database online]., Stark, Herkimer, New York (Page 23 of 40), 26 Jul 1850. 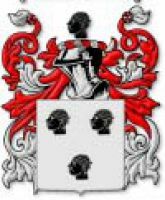 [S00051] STARK, Early Familes of the Town of , A. Ross Eckler, (Self Published by A Ross Eckler, Morristown, New Jersey, First Issue, November 2005), Moyer Section - Book has no page numbers but is in Alpha Order.